Florida has very strict laws when it comes to underage drinking. When it comes to underage drinking and driving the laws are even stricter. If you or your child have been arrested under Florida’s “zero tolerance” law, call the attorneys of Finebloom, Haenel & Higgins today. Our caring staff is available 24.7 for consultation. The Florida Zero Tolerance law is a specific law pertaining to drivers under the age of 21. The purpose of the law is to discourage underage drinking. The law states that Florida will have “zero tolerance” for any drinking by a person underage. In order to enforce this, the State of Florida has given law enforcement the authority to breath test a person under 21 if the officer feels they have had anything to drink. The officer does not need to have reason to believe that the person is impaired. Only that they drank any amount of an alcoholic beverage. How is Zero Tolerance enforced? Any driver under 21 that is stopped by law enforcement and is found to have a blood alcohol level of .02 or higher will automatically have their Florida driver’s license suspended for 6 months. It does not matter that you may not be impaired at that level. The .02 level is the level the Florida legislature believes you may have if you are underage and have had even one alcoholic beverage. Since the law states that there will be no tolerance for an underage person to even have one drink the limit is allowed to be lower. What are the penalties under the zero tolerance law? If it is the first time that you are caught with a blow of .02 or higher, your license will be suspended for six months. If it is a second or subsequent offense then the suspension is 1 year. If you are under 21 and you refuse to submit to the breath test the first suspension is one year. If you are under 21 and you refuse to submit a second or subsequent time the suspension is 18 months. The suspension of your license is effective immediately. If you are under the age of 16, or if you do not yet have a license, the suspension does not come into effect until you are eligible for a license. If the breath or blood alcohol level is .05 or higher the suspension remains in effect until a substance abuse class is completed. If you do not complete the substance abuse treatment within the suspension period, your license will remain suspended indefinitely until you finish the course. Florida’s zero tolerance policy can have other effects on an underage person. It may affect your insurance, financial aid or ability to participate in school activities. If you or your child are accused of violating the zero tolerance law call the attorneys of Finebloom, Haenel & Higgins today. Our attorneys understand this can be a difficult time. Our experienced staff can discuss your options with you. 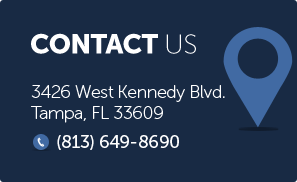 We are available by phone 24/7 by calling 813-200-4412. Call us now to preserve your rights!